Well done to our new Eco members for 2018 - congratulations! 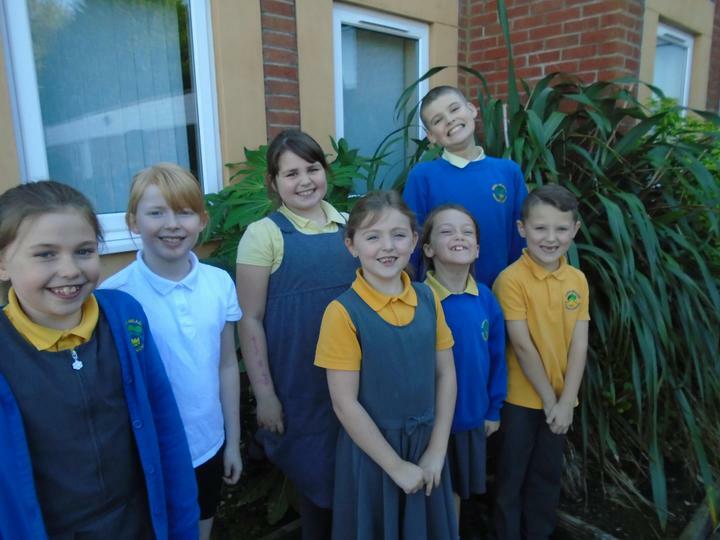 They are ready and raring to help make sure our school is Eco friendly! Check back to see all they get up to over the year. Rotarian Nick Philpott was invited to attend a tree planting project at Kings Meadow. The trees, which at present are small saplings, were donated by The Woodland Trust via the Rotary Club of Southport Links. There are three trees of various species, including a Rowan and a Silver Birch Nick joined the school assembly to watch an interesting video called 'The Man Who Loved Trees', which had been provided by The Woodland Trust. A number of hardy children and staff the braved the elements to plant the saplings in the school grounds. The children had researched the distance the trees should be apart, and what should be done to protect and water them. They were all very enthusiastic about the project. Sefton Eco Awards - Year 5 Most Inspirational Class of the Year Winners! Posters made by Year 5 Children to promote being Eco Friendly!